Coming down from the whirlwind of birthday festivities of the last month, we thought it would be exciting to launch a Swoon blog, starting with a glimpse back ten years ago! Pour yourself a glass of whatever suits your fancy and lets raise a toast to a decade of magic! Swoon was born a little over 10 years ago from a love of beautiful things, a whole lot of incredible people, and as a way forward. I opened Swoon a year + one day after my mom died of cancer and so mid-September always feels bittersweet. My mother always supported my love of beautiful dresses--but she wanted more from me. She was the hardest working person I ever met and was a high school government teacher for most of my childhood. I always understood that my sister and I were the center of her world, but that she had a lot to accomplish in this world, and that she did. To this day, I still meet her students who tell me that she was the most formative teacher that they ever had. She cared about public education and was fiercely committed to every child having a chance. The Swoon story is so tightly intertwined with my mother because she showed me possibilities of being in this world--doing the thing you love, caring about people in a very intimate way, being kind, being fierce, and working like crazy to do it all. She gave me the courage to make a leap of faith and do. My mom is not the only person whose story is central to Swoon--Swoon is truly a community of incredible and wonderful people, but the story begins with her. There’s the saying that “behind every successful woman is a tribe of other successful women who have her back” and it’s true of Swoonland. The women who have taught me, embraced me, befriended me, and have graced these walls have been remarkable people. The first three years of Swoon I worked entirely alone...the economy was crashing and it was terrifying...but I kept the faith! The Swoon family tree is not all that big for our ten years — we get attached. I can actually count on two hands the number of lovely ladies that have been a part of making the magic happen here! I am forever grateful to them for coming along, trusting me, and becoming a part of the Swoon family: those past and present. Last but certainly not least, we must pay homage today to the women and the families that make our world go around: Swoon Brides. I’ll never forget our first Swoon bride. Her name is Jessie and she came the first Saturday that Swoon was open and bought an Amy Kuschel gown. We toasted all of the beginnings and my first Swoonie was born. Jessie gave me hope that this crazy venture was going to work. Ten years later, the best piece of this business is still the pure moments of emotion that flood these walls daily. 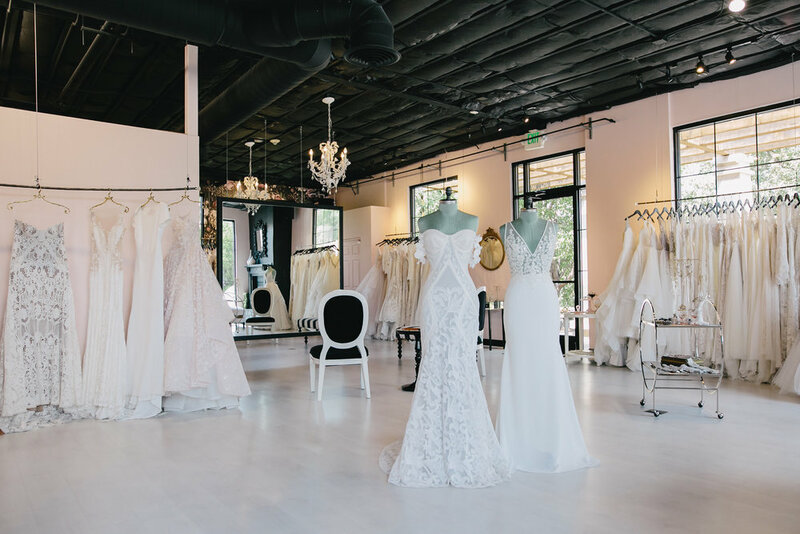 It’s truly an honor share intimate moments of joy and hope and the invigoration of watching someone’s dream come true when they find the dress they want to get married in. 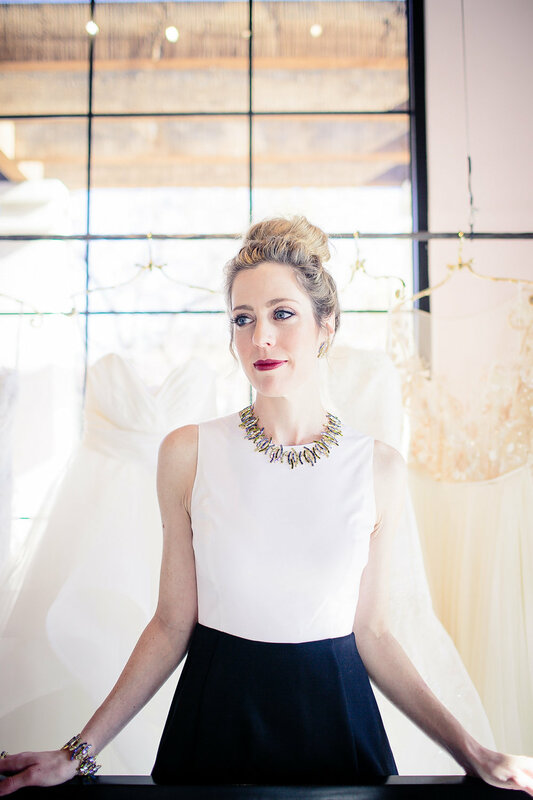 I’ve always said that Swoon brides are the coolest and it’s totally true. It’s our honor to make memories for our brides and give them the loveliest experience possible. Life is short. We don’t get these moments back. It’s our life’s work to make our brides feel good and special and beautiful and “over the moon at Swoon.” Thank you to every one of our brides for believing in Swoon and letting us be your fairy godmothers! We love you, Swoonies! Here’s to the next ten years: may they be just as incredibly fabulous as the last!